Flex-H20 slab formwork is also designed for slab concrete. It can be used in those area where the table formwork does not work, such as basement slab, very complicated floor plan with circular slab edge or complex beams, etc. The foldable Tripod is designed to stabilize props. 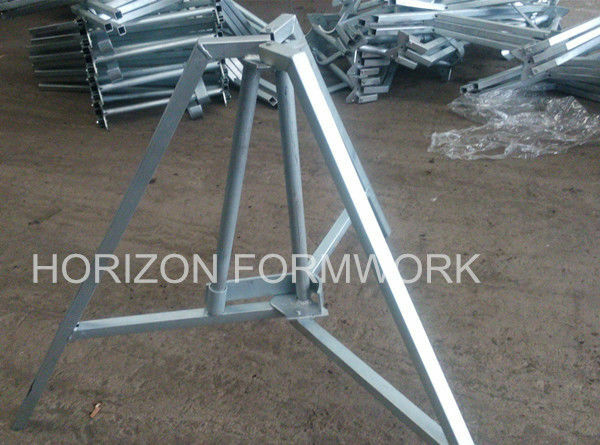 Electrical galvanized, powder coated or painted. 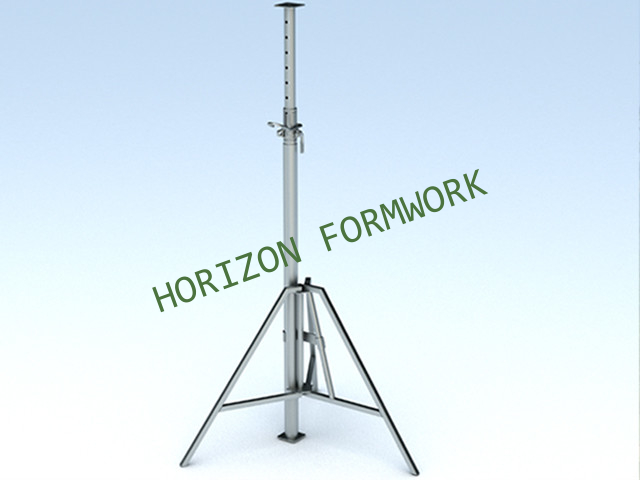 Tripod H70 (Light duty), realized with round tube, is used for props of light dimensions.